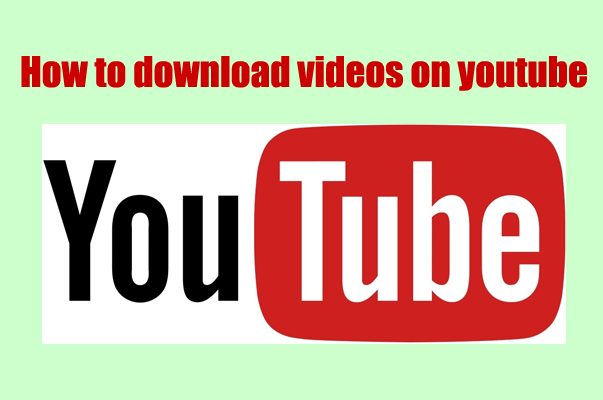 Hello readers, in this post I will show you how you can download videos from youtube, Facebook, vimeo etc. for free without any stress. Though this is not something new, but many people do ask me how do you get it down conveniently then I decided to share this tips I use to achieve it. We all know that Youtube is one of the largest if not the largest search engine when it comes to streaming and downloading videos. There are three main ways to download YouTube videos to your PC or laptop: this methods works either you are on PC or Any smartphone let’s take android OS for sample as it is mostly used worldwide. You can use a browser plug-in, paste the URL of a video into a site that offers to download YouTube videos, you can type vd, dl, dlv or ss in front of YouTube in the address bar when you’re on a page with the video you want to download (e.g. www.ssyoutube.com… check screen shot below), then press Enter or use an application you download on you android phone. Preferably I will choose the online media method which I have to paste the URL of the video I want to download in the site or even SS trick depending on the situation I find myself. I will emphazise on the app method and online media download methods. Visit youtube and copy the URL or link of the videos you wish to download, then visit Clip Converter website and Paste your YouTube URL at ‘Video URL’ box then hit the Continue button to proceed. Now you will need to select the format (MP3, MP4, and M4A) and the options for the conversion. Press the ‘Start’ button at the bottom to start the conversion. The conversion may take several minutes depending on the size of the video you want to download may take several minutes. After the conversion is finished you can download the converted file. Kip Vid is another media online site in which you can use to download youtube videos. It also works like Clip Converter. Kipvid video downloader is a free web application that allows you to download videos from websites like Facebook, Youtube, and other sites. Just follow the procedures below to know how it works. Visit youtube and copy the URL from your browser’s address bar. (Alt+D to take you to the address bar) then Press Ctrl-C to copy the highlighted address, click in the box next to the Download button. Press Ctrl-V to paste your copied URL and click Download. You’ll see the available versions of the video appear below. You will be required to choose for the list the format you want. I recommend MP4 for smartphones or even PC for the best compatibility, and go for the highest quality – in this case it’s 720p. Simply click the link to start the download. Also note that the higher the quality the more MB and size it will contain. Wait for some minutes depending on the size of the videos. When it is completed check you download folder the video should appear there and should be able to watch the video (s) offline without the need to visit youtube again. Savefrom.net lets you download video, and music from youtube.com, vimeo.com, dailymotion, vk, soundcloud and other video streaming websites. This site also works like the ones listed above. This is the one I use most of the time because of its convenience and its features. When you get to the website of the video you want to download let’s take for instance youtube.com, just put ss in the front of the URL check the screen shot below to see how it works. Another way is to visit savefrom.net, and paste the URL of the video as I showed you in the earlier post, click download and you will be taken to a page with different formats that suits your device. One cool way to do this is to download and install the SaveFrom.net helper it will guide you on how to do it. It is a free application that helps its users to download and watch youtube videos on their android phone. Tubemate is not available on Google paly store its either you download from their websites, or from online APK site. Be careful when downloading from apk sharing websites, so as not to download malware that will harm you phone. This is also another application for android users that enables them to totally download and watch youtube videos. It also supports downloads of images and other files apart from videos. It allows it users to input the URL of the video they want to download and get it directly. Catch video allows you to download videos from multiple video sharing sites, including youtube. It will also help you to organize your videos in one folder so you can watch them after downloading. Some of it features includes, searching and downloading videos as if you are on youtube without leaving the app. It also allows downloads of multiple videos simultaneously. Conclusion: I prefer, always and uses the savefrom.net website to download videos from youtube any time and on any device. As I have stated before just add ss in the front of the video URL you wish to download and you are good to go. Do not hesitate to comment below should in case you encounter any difficulties.